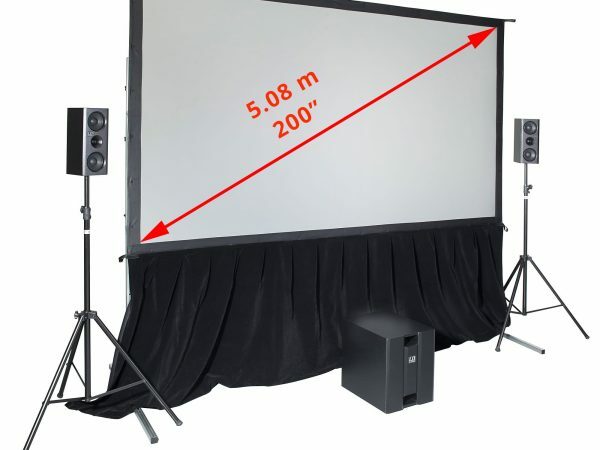 SmartFold Projection screens are great for presentations and movie nights. 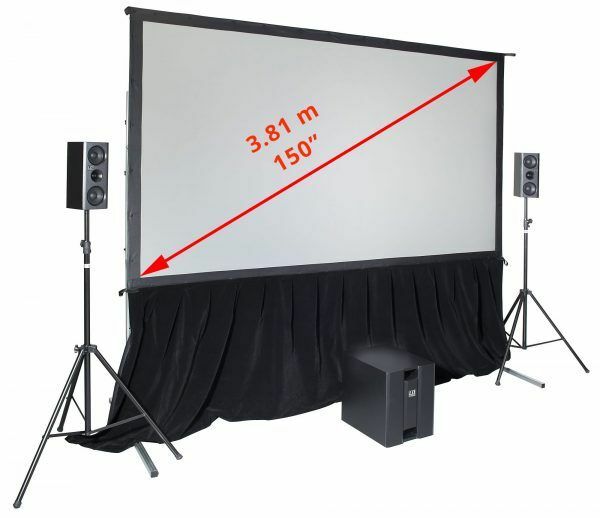 Coupled with a brilliant pair of speakers, a projector, and a SmartBox Gold® (which includes a microphone for announcements) the projection screen system makes indoor entertaining easy! Fast Fold Screen SmartFold provides image size 3319 x 1867mm – 150″ diagonal. Lightweight, portalbe and easy to assemble, it is built to impress. Audio: LD Speakers with subwoofer.